The term Blasian is gaining more and more popularity as people begin to see more and more Blasian couples in the media. However, Korea’s role in Blasian society may seem non existent to some. A lot of this is due to the reputation Korea has towards Black people. And some of it is due to perception of Black people that has been given to Korean people. But what is the truth about modern Korean culture and the younger generation? Does Korea play a role in Blasian society today? Let’s take a look and see. Korea has garnered a reputation of being racist and closed minded towards Black people in general. Korean television shows have been known to do comedic skits that show people in Blackface. Stories of Korean children feeling that Black people have tails that grow at night have been spread on teacher forums on the internet. One African gentleman asked me if it’s true that Korea only allows certain Black people in the country and will keep others in the airport until they fly back home. While these may seem extreme, they are a reality to some who feel that this is how Koreans really feel. And the number of Korea/Korean Americans who have dated or married someone Black and have been shunned by their family members seems to be very high. The treatment that some African Americans get from Korean Americans hasn’t helped the racist reputation that Korea has either. The Republic of Korea, aka South Korea, is considered to be 97% Korean. So as you can imagine, Koreans in Korea are not really exposed to Black people in person. So where do many Koreans get information about Black people from? It would appear to be either hearsay or from what they see in the media. Some Koreans associate Black people with poverty since they have seen many stores of poor Black people and dying Black people in Africa. Portrayals of poverty stricken African Americans has not helped this perception either. Negative stories about how Black men treat women, treat each other, as well as violent images of Black people in entertainment has caused many of the older generation of Koreans to feel that allowing their son or daughter to marry a Black person is one of the worst things that can happen to their family, and will result in shame and negative talk from others. But is this reality for everyone in today’s Korean society? As time has moved forward, views towards Black people have changed in Korea. When looking at KPop acts, it’s clear that they are heavily influenced by Black culture. More and more Koreans are traveling all over the world and are having positive interactions with Black people. And a number of English teachers in Korea are African Americans, meaning that children are learning a positive view of Black people from an early age. As far as Korean Americans go, a number of older Korean women have been happily married to Black men for decades. For them, they have no problem at all with their children or grandchildren marrying a Black person, as long as they are happy. 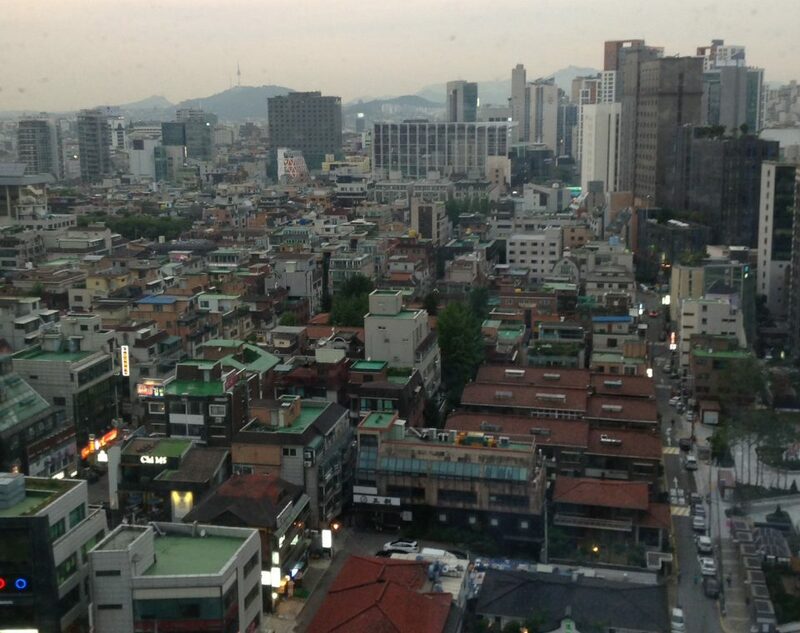 The perception of how Koreans are and the reality of how Koreans are is not always the same. But are there examples of successful Blasians and Blasian couples that involve Korea? Lily and James – Considered by some to be the OG Blasian couple on YouTube, James is from Kenya and Lily is from Korea. They live in the U.S. and vlog about their life along with their daughters Yuri and Dosomi. Slice and Rice – Young up and coming YouTube channel featuring Slice, an African American man and his Korean American girlfriend Rice. They talk openly about dating and what it was like to meet each other’s family. Slice is learning about Korean culture in hopes of asking his future in-laws for their blessing in Korea. Ms. H Blasian World – Newer YouTube channel about a Korean wife and African American husband who are in the process of moving back to Korea in hopes to start a foundation to help Blasian couples and Blasian children living in Korea. Mazelee – YouTube channel showing the life of Alena Maze and Joe Lee (Yes Korean man and Black woman couple) that has some of the best video quality you will see. They show an honest view of their life with their children. JHeartsJ – Another Korean man Black woman channel on YouTube that shows their love for each other, their beautiful baby and how life is as a Blasian couple in Korea. Ameriie – Blasian singer who now has her own book channel on YouTube. Known for her beautiful looks and voice, she’s highly intelligent and happy in life. HershNoeie – A growing YouTube channel about a Korean woman adopted by an American family and happily married to her African American husband. They have 3 beautiful daughters and show their lives and talk openly about issues they’ve faced in the past. Will Demps – Former NFL players who has a Korean mother and a father who is African American and Puerto Rican. Dom and Hyo – Blasian couple who help others to learn about Korean culture and language. These are just a few of the examples that I found. The lesson in all of this? Blasians are everywhere, including in Korean culture. You just have to know where to look. Just because the mainstream media considers Black and Korean couples to be “rare” does not mean that is reality. If you are reading this because you wish to be in a Blasian marriage, know that it can happen and that you can find true love. If you are a Blasian person who feels you are alone, know that Blasians are accomplishing many great things in this world. At the end of the day, there are no interracial relationships because we are all one race, human. But there are international relationships and international thinkers. Korea is an important place, not just because they put the Seoul in Asia, but because Korea is a gateway to Asia. There are some negative and dark things about Korea. But there are some beautiful and wonderful things about Korea as well. Korea has truly been a gateway for many Black people into Asian culture and into a long lasting Blasian love. And if the story of real Korean culture could be summed up in one word, that word would be love. That is why Korea will always have an important part in Blasian society.